Nomonde Mashabane has come a long way in the last three years. 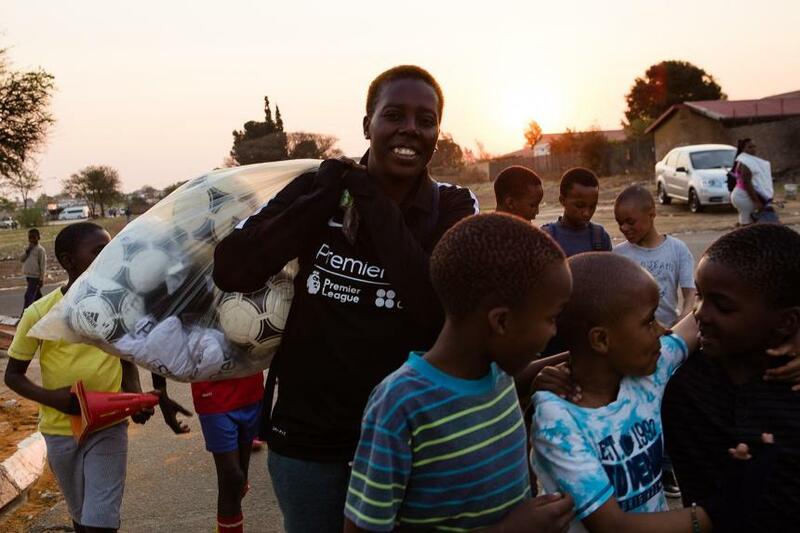 In 2014, she was working in sports administration in her home town of Soweto, South Africa. At that time, the possibility of being a coach was a distant thought in her mind. But that path became a reality when Nomonde took part in Premier Skills, the Premier League’s lead international project. "I have a real passion for football," she says. "I was a player but I had to stop because of injury so I studied sports management and was working for the Soweto Football Association. "But I loved being on the pitch more than I did being in the office and Premier Skills was an opportunity to see what is out there and learn the principles and the basics of coaching." Nomonde passed that first week-long Premier Skills course and was bitten by the coaching bug. "It brought up my confidence and set the tone for what I really wanted to do with my sporting career," she says. "Teaching is what I love doing, I love helping others and working with kids. "It really inspired me and gave me a sense of direction." 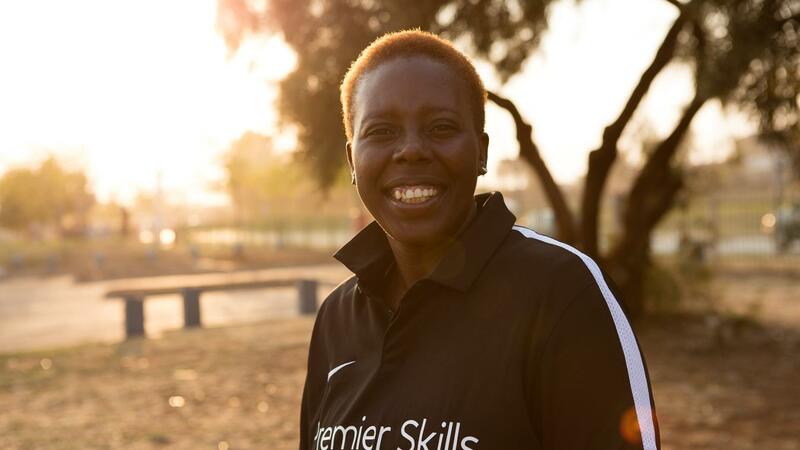 Fired with this new-found belief, Nomonde left sports administration to embark on the next part of the Premier Skills programme, to train people to become coach educators, so they can pass on their knowledge to other coaches in their local community. "I don't want to know the fixtures or who is leading the leagues, I want to know how the kids are developing, how well the coaches are doing, do we have enough coaches, enough players playing, do we have progress?" she says. "We have a huge problem in Soweto where the number of coaches is huge but the level of education is low. "It's easy for a child to give up when they see that the adults don't know what they are doing. But I can now reach out to more people. "It makes a big impact in my local community. With Premier Skills, the knowledge I have is always there. I can help a coach who asks for it and they can go and have impact on 50 kids. That's the goal." The 29-year-old, who is studying a sports science degree, now works for a company that teaches football in schools, using the techniques she learnt with Premier Skills to help educate the next generation. And she believes that being a female coach in South Africa sends an important message. "It inspires schoolgirls to take up the game," she says. "We grew up in a town where sport was for boys and me being there gives them a sense that this is a place for me, too. "It gives them a push to take part in a sport that they wouldn't have before. You become a role model without even noticing it." And although she has finished her Premier Skills training, her relationship with the programme remains strong. In March she helped deliver a Premier Skills course in Durban for people looking to embark on a coaching career, just as she was in 2014. "It's all happened so quickly," she says. "I wish I could go back and pause for a second and enjoy the moment. "Premier Skills has opened up many doors for me and it's opened up my mind to learn more, and to keep learning. It's given me the courage to do things that I didn't think I would be doing. "Premier Skills means coming together as communities to have an impact the people who need it most but don't have the voice to do it for themselves. "When you help your community, the community grows, and it starts with you."